Sometimes political disagreements shrink in the face of much more serious dangers, and a heart-warming story that has splashed across the front pages in the United States this week stands testament to this. It may seem that every former staffer from the Trump White House draws so much inspiration from the current administration that they all have a story to tell once dismissed. 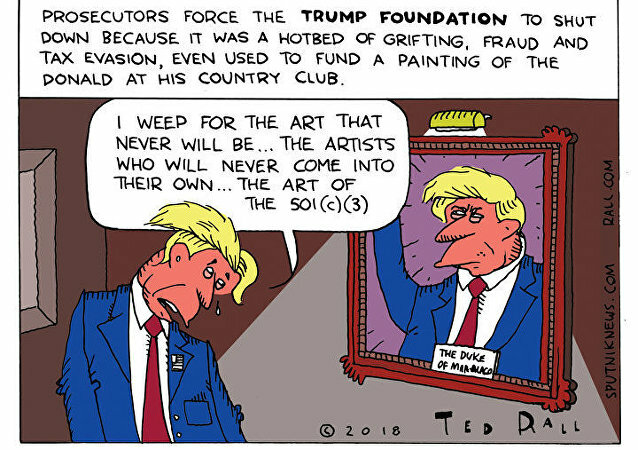 The Trump Foundation has agreed to dissolve its operations under judicial supervision amid a $2.8 million lawsuit from New York Attorney General Barbara Underwood. Eric Trump Mercilessly Mocked for Trying to "Make Christmas Great Again"
While his presidential father Donald Trump and sister Ivanka are sending shock waves on Twitter with their activity at the White House, Eric keeps an eye on the clan’s business empire and often remains in their shadow. He received his share of online roasting recently as he decided to embellish the family brand with Christmas magic. All eyes have been on the first lady during her week-long solo trip to Africa, which has seen her promoting a child welfare agenda in Ghana, Malawi, and Kenya. US President Donald Trump was involved in a collaborative effort to try to keep adult film star Stormy Daniels from spilling the tea on her alleged 2006 affair with the man who went on to be commander in chief, according to new reports. 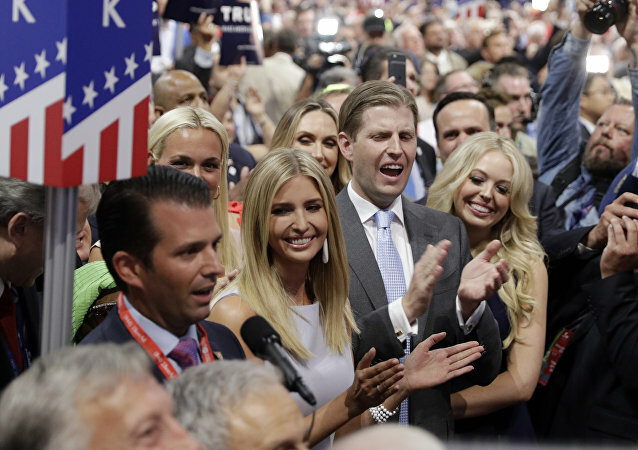 MOSCOW (Sputnik) - Eric Trump, the second son of US President Donald Trump, has said that all president's family members have been threatened, including by white powder parcels delivered to their homes. 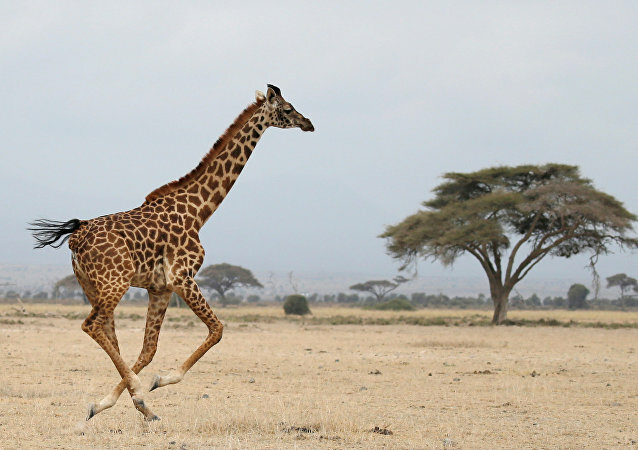 The recent death of the last male northern white rhinoceros on Earth and the US’ lifting its trophy hunting ban on elephants and lions has provoked many conservationists to shine a light on another creeping tragedy: the “silent extinction” of giraffes. 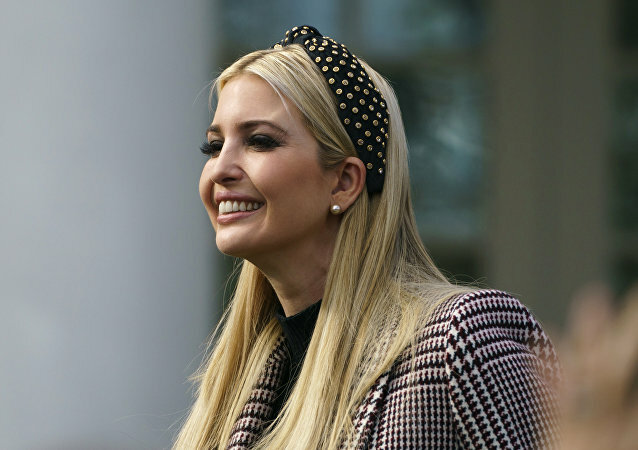 White House Press Secretary Sean Spicer confirmed on Tuesday that US President Donald Trump's daughter, Ivanka, influenced a decision to launch cruise missiles at a Syrian airbase. 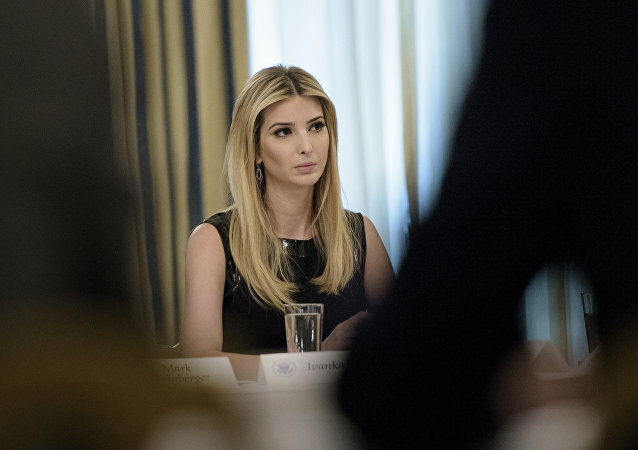 It turns out that Ivanka Trump, a mother of three, played a role in her father's decision to launch a cruise missile strike at a sovereign state, which resulted in the death of several people, according to The Telegraph. 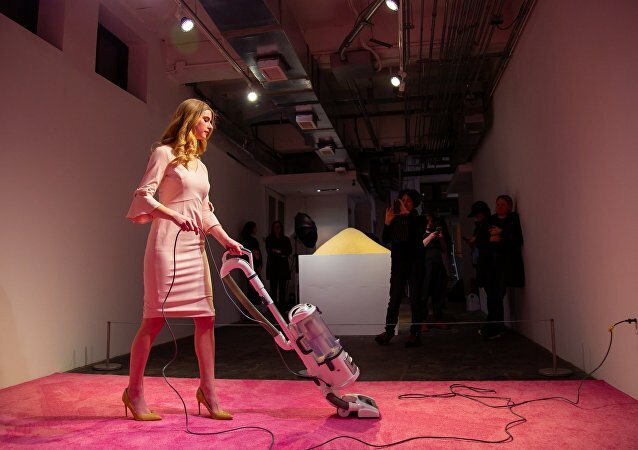 Under the administration of US President Donald Trump, new rules announced on Monday by US Citizenship and Immigration Services, touted as supporting the American workforce, will significantly tighten foreign worker visa requirements. 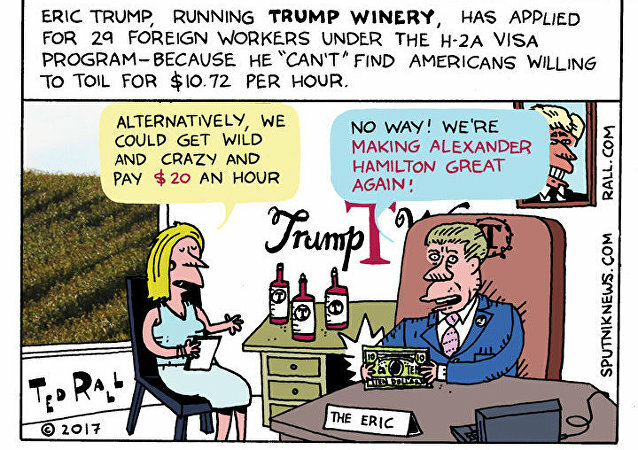 At the same time, Trump’s family-owned businesses are actively and openly advertising to hire foreign laborers. 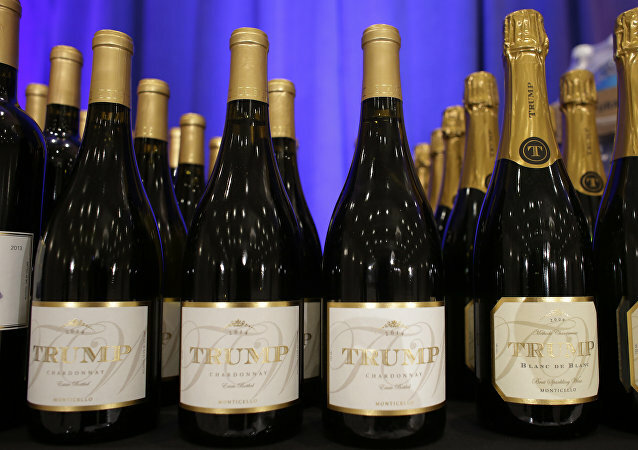 Trump Winery, owned by President Trump’s son Eric, has submitted an application to hire foreign workers to pick grapes after they couldn’t find American citizens willing to work for the salary. US President Donald Trump, who in the first months of a remarkably divisive presidency has made a point of tightening American immigration protocols as a way of purportedly supporting America’s workforce, now finds his name on businesses that are actively seeking foreign laborers. Eric Trump is prevented from raising funds for children suffering from cancer due to the criticism faced over potential conflict of interests. 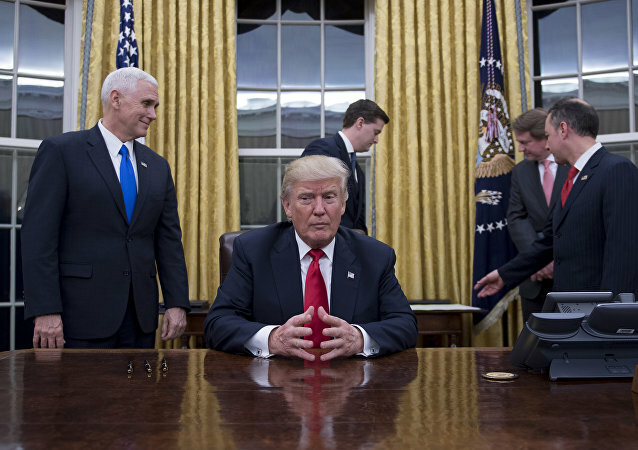 US President-elect Donald Trump is reportedly considering to delegate control of his Trump Organization company to his adult sons, however, he wants to maintain a share in business. The infamous killer of the much beloved lion received another dose of karma on Tuesday when a neighbor stole and crashed his boat while the disgraced trophy hunter schmoozed the Trumps at the Republican Convention.